Parking facilities present inherent security challenges as they frequently occupy a large space with low levels of activity and numerous hiding places for would-be attackers. 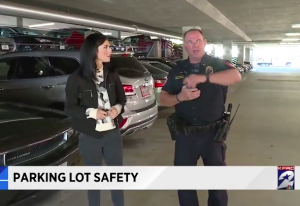 While parking facility owners are required by law to protect patrons from any foreseeable harm, Montgomery Chief of Police and former Secret Service agent, Jim Napolitano, urges patrons to take security precautions of their own. “Check for hiding spots where predators could lurk and walk in the center aisle of the lot.” Remember your safety is more important than your bag. Parking lot and parking garage patrons have a right to feel safe and secure while on the premises of the establishment they are visiting. By law, property owners are required to protect all patrons legally on the premises from any foreseeable harm. 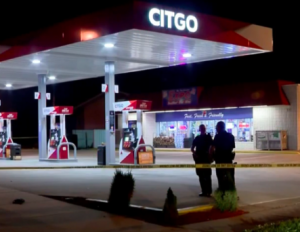 For example, should a parking facility owner have knowledge of prior violence on or near property, they have a responsibility to implement additional security precautions to protect patrons and deter such crime. Should a parking facility owner fail in this critical responsibility, they may be held civilly liable for any injuries or wrongful deaths which occur as a consequence.